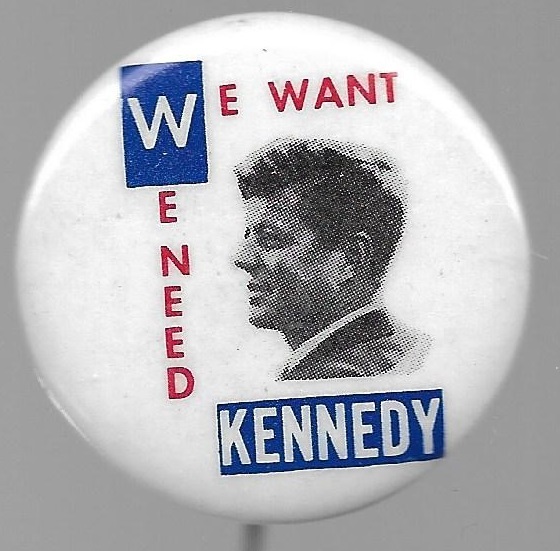 A sharp John F. Kennedy campaign pin from 1960. This 1 3/4 inch celluloid pictures JFK with the slogan We Want, We Need Kennedy. Excellent condition.